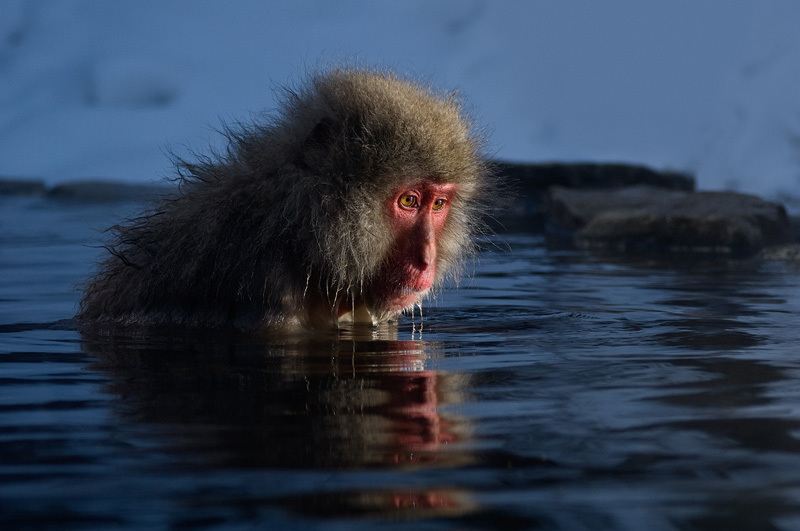 For one of my first trips to Japan I looked at thousands of images of snow monkeys and noticed that most of them were done with on-camera flash, mostly to brighten the face and the eyes. During my visit I used flash as well, but I decided to choose a different approach. Instead of keeping the flash on the camera, I positioned it at a distance and to the side of the subject (with a radio controlled remote) to create more three dimensional side-lighting. I underexposed the ambient light for extra mood and to emphasize the lighting.